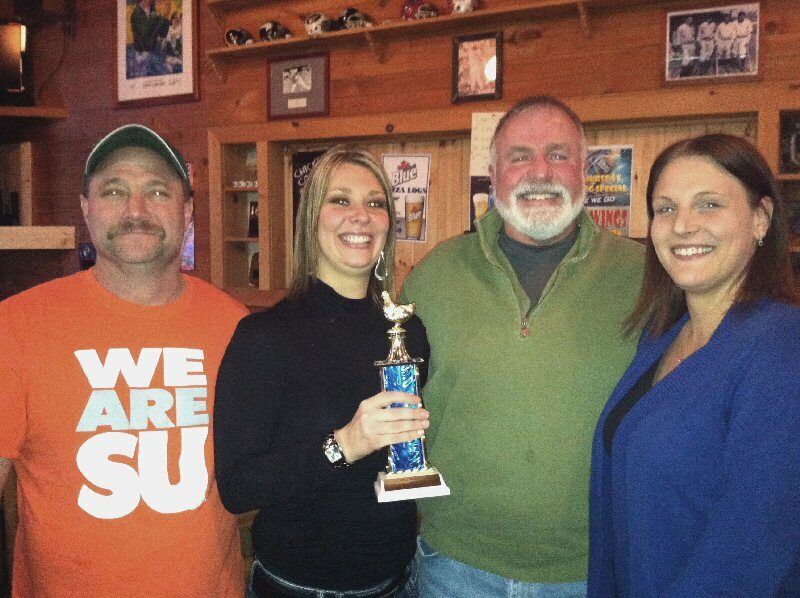 Fulton, NY – The End Zone in Pulaski captured the award for Best Tasting Wings during the Child Advocacy Center’s inaugural Chicken Wing and Micro-Brew Fest. The End Zone competed against six other area eateries during the event that was held recently at GS Steamers as part of the Warm-Up Oswego celebration. From left are: Mike Paternoster of The End Zone; CAC fundraising committee member, Jenny Donohue; Joe McGrath of The End Zone; and CAC fundraising committee member, Stephanie Hammond. Absent from photo is Ray Archer of The End Zone.